In an effort to make all of her holiday gifts this year, Camilla at Culinary Adventures with Camilla invited some of her favorite foodie bloggers to share recipes for hand-crated edibles. Over the course of the next twelve weeks, we'll be sharing recipes from libations (this week's theme) to cookie platters. Hope you'll follow along for inspiration. That’s right, we’re bringing you all of those yummy infused beverages that we’ve all come to love! And since some of those libations take some time to infuse, we need to start now! Side note – if you’re making homemade vanilla extract for Christmas, start now!!! 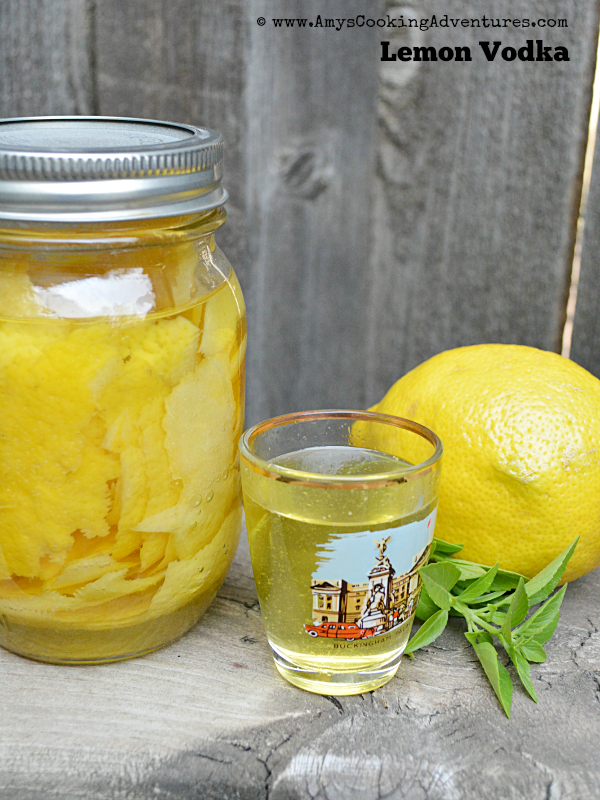 This time around, I wanted to make Lemon Infused Vodka (though you could use rum instead). Lemon Vodka is so yummy and versatile! And it only needs to infuse for 5-7 days, so it’s quick! Lemon Vodka is the base for homemade limoncello (which I love because then you can control the sweetness). It’s also great on the rocks or in martinis! And dare I mention that I made limoncello cake with this, too? It’s astounding! I also have a specialty drink in the works using this vodka. Though you’ll have to wait a bit for the actual recipe, I will give you a little hint – this ice cream is one of the ingredients! Yum!! Cheers to these gals and their lovely libations! Next week, check back for our handcrafted spice blends. Or check out our #handcraftededibles pinterest board. 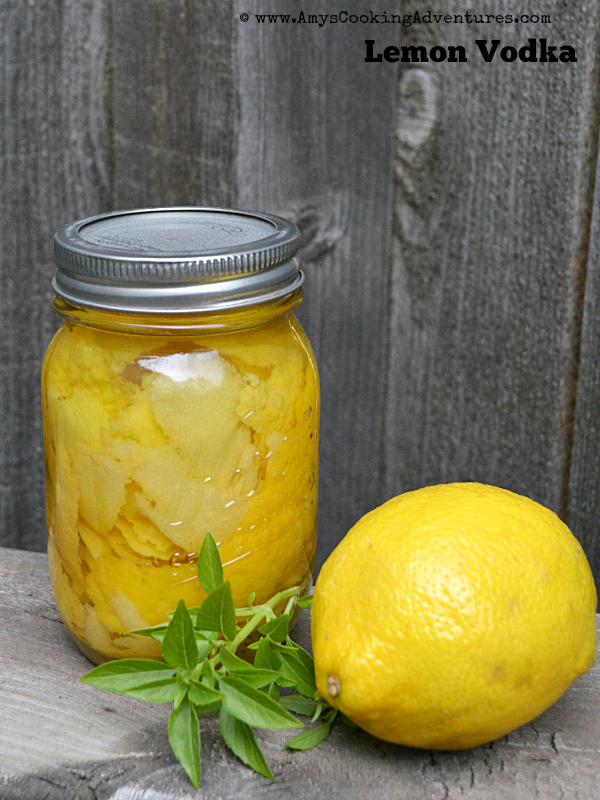 Place the lemon zest in a clean pint sized mason jar. Fill with vodka. 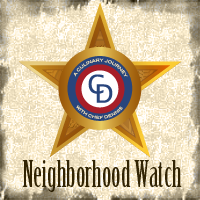 Close and set aside in a cool, dark place for 5-7 days. Strain out the zest and place the infused vodka back into a clean jar. Very versatile and very delicious I am sure. 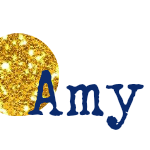 Oh, I LOVE this, Amy. I have some limoncello resting on my shelf right now, too...and fig-cello...and rhubarb liqueur. I couldn't decide, so I have a booze pantry! Thanks for joining in the #HandCraftedEdibles fun and, especially, for this post. Cin cin, my friend. I have a bit of an obsession with limoncello, but lemon vodka works great too! I love the bright yellow color! Do you think I could use whipped vodka as a base for this?? This sounds like it could be used so many ways! Oh my goodness - Whipped would be an amazing base for this!